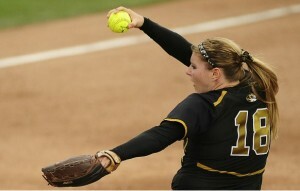 The Mizzou softball team will host NCAA Regional hosts this weekend, as the Tigers received the No. 6 overall seed in the national bracket and are the top-seeded squad in the Columbia Regional with a 35-11 overall record. This is the fifth-straight year, and seventh year overall, that the Tigers have hosted the first round of the NCAA Tournament. Head coach Ehren Earleywine led the Tigers to a third-place finish (15-8) in the program’s first season in the Southeastern Conference, also taking the team to a runner-up finish this weekend at the SEC Tournament. Joining the bracket are Hofstra (43-11, 18-2 CAA), Oregon State (33-22, 8-16 Pac-12) and Stony Brook (35-23, 10-8 American East). Mizzou will open play on Friday, May 17, against Stony Brook at 6:30 p.m. at University Field. Mizzou has won an NCAA Regional title each of the last five seasons and have won seven overall. Last year, the Tigers went 3-0 in their regional to advance to the program’s fifth-straight NCAA Super Regional.